Our bookstore is located in the lobby of the Main Library at 800 Alma Street, Menlo Park (see Directions). On entering the Main Library, you will find our bookstore on the right, past the glass display cabinet. 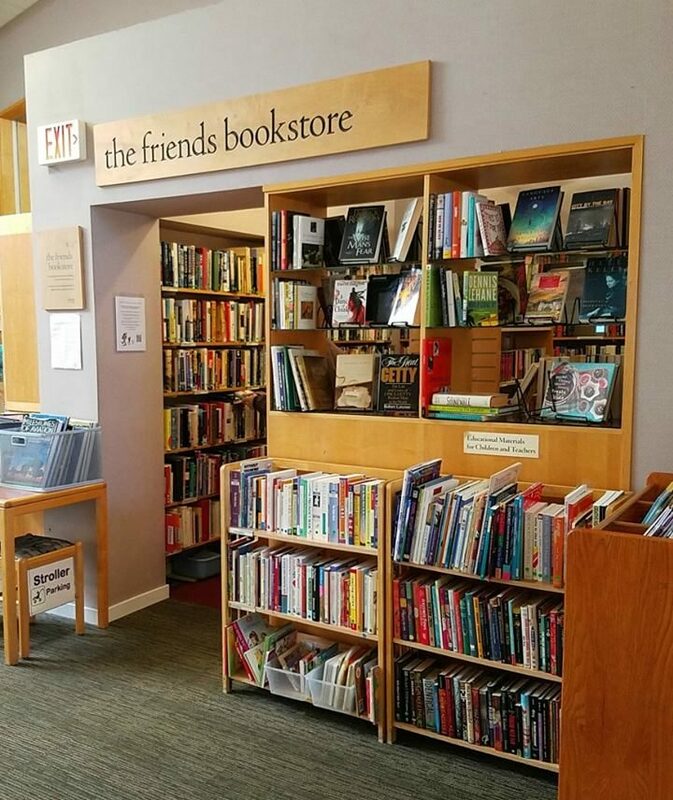 Our bookstore is open whenever the Main Library at 800 Alma Street, Menlo Park, is open to the public. For the Library's operating hours and holiday closures, see Library Hours | City of Menlo Park - Official Website. Our bookstore is re-stocked daily. We offer used adult titles in a broad range of fiction, poetry and drama, non-fiction and reference categories. We also offer a large selection of children's titles. We feature both recent and older publications. In addition to books, we offer used CDs and DVDs. Our bookstore prices are very modest. A majority of the books and other items are in the $1-$2 range. Selected items are priced a little higher, while most mass-market paperbacks are priced at 50 cents. The price for each item is either inside the cover page or stickered on the front. Both cash and checks with (appropriate I.D.) are accepted as payment for bookstore purchases. Credit cards are not accepted. Payment is made to the member of Library staff on duty at the welcome desk. The welcome desk is staffed whenever the Main Library is open. If the welcome desk is temporarily unstaffed, you can request assistance from another member of the Library staff. At any one time we have thousands of fiction and non-fiction books listed for re-sale on Amazon in a broad range of subject-matter categories. In general, these books, unlike those we offer in our bookstore, can only be purchased through Amazon. We do not regularly sell these books directly to the public in face-to-face transactions. It may be possible to accommodate requests for pick-up and payment of specific listed items. Payment must be by cash or check (with appropriate I.D.) at the Main Library during normal hours of operation. These special arrangements must be made directly with one of our volunteers in order to fulfill such a request. Library personnel are not available to help with these requests. Items sell fast on Amazon so there is no guarantee that an item we have listed will be available at a later time. For that reason, it is best to contact us by phone or e-mail to request special arrangements. You are welcome to contact us to ask about our listings. You can also go to Friends' Online Store to view a selection of our current listings.